Timing is critical, practice essential, fitness invaluable, says Graham Downing. These 10 top tips for bagging your Macnab are invaluable. Any serious Macnabber will heed our advice. Lady Luck has a starring role in any sporting endeavour that involves wild quarry but the Macnab top tips will skew her grace in your favour. Fate and good fortune aside, there is a lot prospective Macnabbers can do to improve their chances by way of basic planning and preparation. Let’s start with timing. 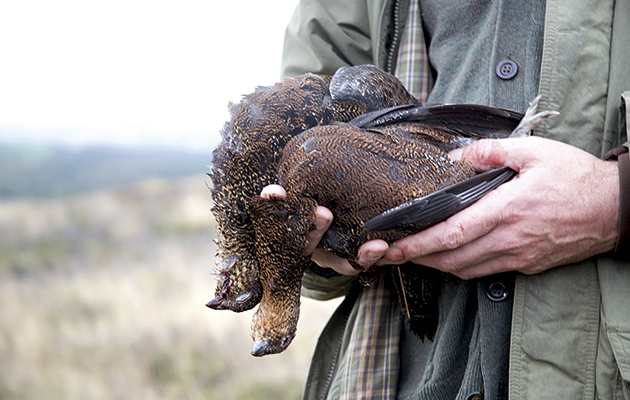 You may book your Scottish holiday around the prospect of a marvellous summer run of fish and perhaps even a July stag, but there’s no possibility of a “classic” Macnab until the 12th of August, when grouse come on to the menu. While chances of achieving success with the rifle will probably not diminish during late summer and could improve with the onset of the rut at the back end of September and into October, grouse prospects will almost certainly do the opposite. Most Macnabbers will be walking-up or dogging their birds, and there is no doubt that the later in the season you try to shoot going-away grouse, the harder it becomes. By September, walked-up birds will probably be flushing at the limit of shotgun range, giving you only moments to get on to your target and take the shot. So plan to start your Macnabbing early in the season. Use the flies that have been successful, or are recommended by people who fish there all the time. If you fail, then follow your instincts. There’s nothing to lose. It is wise to be creative and take whatever advice is available. What will help add the brace to your bag? 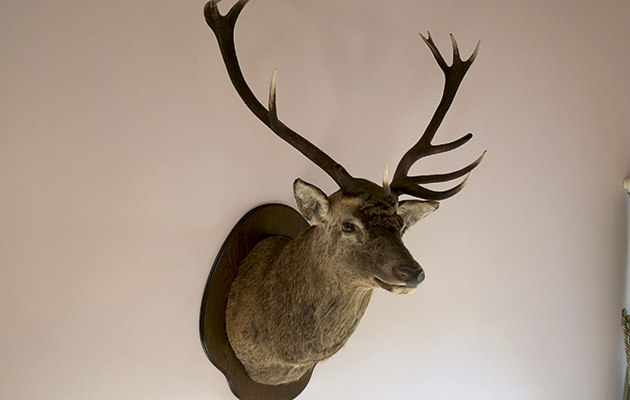 There is a good deal to be said for stalking your stag before shooting a brace, especially where ground is limited. “If you’re stalking carefully, then you’ll not move the grouse off the hill, but if you’re dogging or walking-up, then you will definitely move the stags,” says Mike Holliday, headkeeper/manager at Glenample, Perthshire, and a consummate pointer man. Whether walking or stalking, you are not going to get far on the hill if you are unfit. Though I count myself as being pretty fit, even I step up my exercise levels in the weeks prior to the Twelfth. It is pointless spending months looking forward to those few days of walked-up shooting in Scotland only to find that you’re not physically prepared. Many a stag has been lost by the gun who is out of breath upon reaching the firing point after a long crawl, or whose pounding heart rate sends the bullet thumping harmlessly into the heather. Less-experienced stalkers will probably be relying upon the estate rifle, which will invariably be fitted with a bipod and sound moderator, and will be properly zeroed. If there is time, take a shot at the iron stag before heading up the hill, and don’t squeeze off that trigger until you can see the selected beast through a clear, bright and unfogged scope. If the lenses are wet or misted, hold your fire and tell the stalker, who will have to hand the means to remedy the situation. A Macnabber needs to be fit enough to get to the top of the hill. There’s also a fair level of competency involved in how well you can use a shotgun or a rifle. You don’t want to be taking 20 or 30 shots before you get the grouse. I have at least a couple of sessions on the clay ground at home before the second week in August. I shoot lots of low going-away clays and rehearse gun mount and swing, getting the practice in at artificial targets instead of wasting precious opportunities at the real ones. 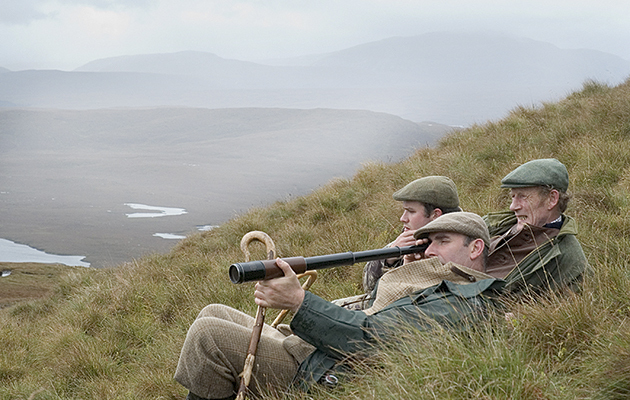 When my party arrives in Scotland, we always spend an afternoon clay-shooting before our first day at the grouse. A light, fast-handling gun is what is required, and light loads will help with target acquisition on the second bird. I never use anything more than 28 grams of 7s in my 12-bore – August grouse are easy to kill, provided that you hit them in the first place. Focus is all-important, whether walking-up or dogging. Watch the dogs, keep your balance and be prepared to get on to that bird the split second it flushes. Pressure on the day can play havoc with focus, but you might miss your right and left, adn your chance of a second attempt, it you aren’t focussed. For most sportsmen and women, the Macnab will be a once-in-a-lifetime event, so don’t forget the means by which to record and remember the occasion. That could be with your phone, or if you don’t want that distraction make sure you have a small notepad to take down the details.